Emma Roberts is an American actress and singer. She is best known for her lead role as Addie Singer on Nickelodeon, TV series Unfabulous. Emma Roberts is one of the successful American actress and singer. The 23-year-old Emma already had her share of winning television and movies role. She hit the spotlight after her lead role as Addie Singer on the Nickelodeon television series. So if you are interested to know more about her then just stay with us because we will reveal five interesting facts about Emma Roberts. So don't just miss it just stay with us. Emma Roberts was born on February 10, 1991, in Rhinebeck, New York. She made her acting debut at 9 in Ted Demme's 2001 drama film Blow. During her childhood, she spent time on the sets of her aunt Julia’s films and these experiences sparked a desire to follow her father and aunts into the film industry. Yes, it's true that Emma was arrested for domestic violence against her boyfriend. You might be wondering about her boyfriend, well her is none other than Evan Peter. In July 2103, Emma was arrested for a domestic violence incident in Canada. When someone overheard a dispute coming from their room and called the police and when they saw Peter with a bloody nose and a bite mark, they arrested Robert. But in a joint statement, the couple called it "an unfortunate incident and misunderstanding." I’m really small compared to everyone else in the movie because I’m short, so I was literally running around in seven-inch boots the whole movie, so I could be up to the right height to everyone else. Besides being a stunning actress, she is also a model. She is also the new face of America eagle's underwear line Aerie. The entire series was done without retouching the models to show off their natural bodies. 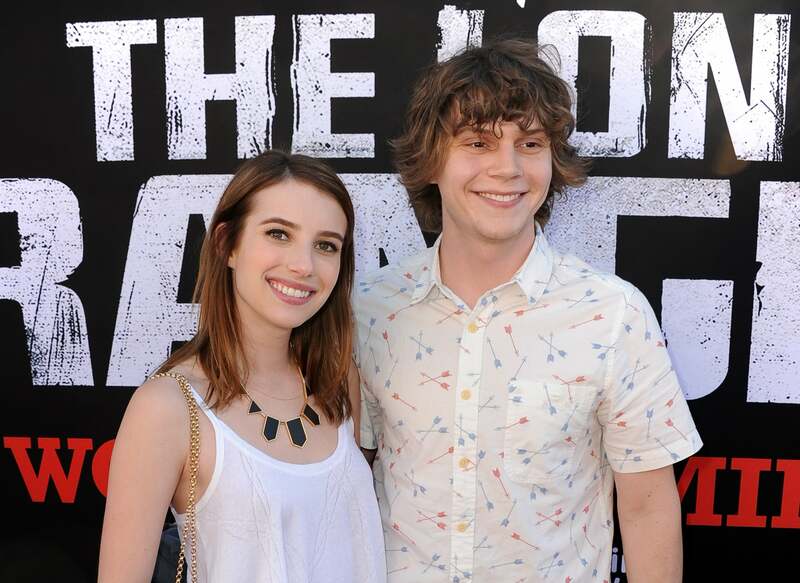 MUST SEE: Emma Roberts looks absolutely gorgeous as she heads out to Coachella. "my friends make fun of me, they’re like, ‘You were in the movie, why are you covering your eyes while you’re watching yourself? When Emma was just 9 years old, she released her first debut film, Blow. She played the role of Johnny Depp's daughter in that movie. Because of her outstanding performance in the movie, she also appeared in Leif Tilden's 10-minutes short big love.